Rugged construction: electrical safety (IP23), potted PC boards and optimum airflow reduce contamination to extend the equipment’s life in the harshest environmental conditions. 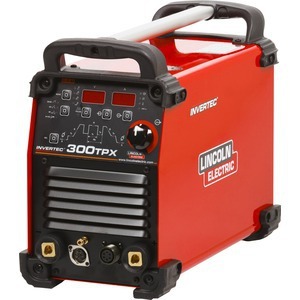 The Invertec® 300 and 400TPX have been manufactured in a light-weight but robust outer casing, making them portable and ideal for operation even in the most hazardous environments. 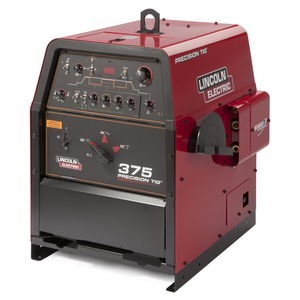 These machines feature HF TIG ignition, Lift TIG ignition, 2 or 4 step, variable down slope, post-flow control, digital pre-set meters with hold functions and built-in variable Pulse. Unique pre-settable starting mode allows excellent HF arc start in any welding conditions. Both machines are equipped with ten memory slots allowing for setting of personal welding parameters and procedures. 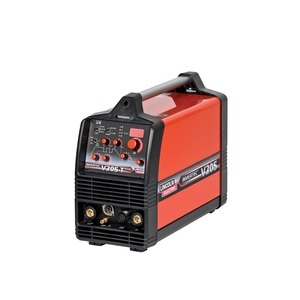 TIG Spot welding mode completes the extensive list of TIG welding features. 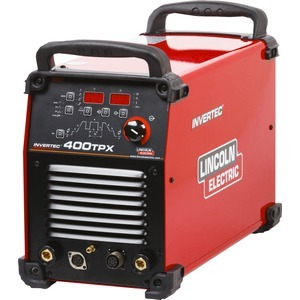 Both machines have been designed, not only as a TIG welder, but to also operate as a stick welder with a variety of popular stick electrodes including Cellulosic. They can be simply converted to a water-cooled unit by adding the COOLARC® 21 (300TPX) or COOLARC® 46 (400TPX) water-coolers. Robust, stable and well equipped carts are available for easy movement of the units. Rugged construction : electrical safety (IP23S), potted PC boards and optimum airflow reduce contamination to extend the equipments life in the harshest environmental conditions. HF and Lift TIG ignition meeting all requirements. Perfect TIG HF starting with pre-settable starting mode. 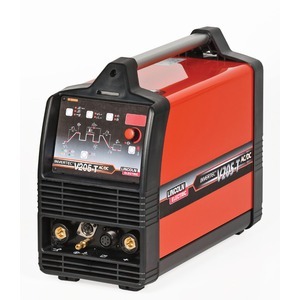 Complete TIG parameters setting : Pulse TIG with variable frequency that allows the welder to adjust the arc focus to suit the applications, 10 memory locations for personalized welding settings, TIG Spot welding.